In case you didn’t know – and really, how could you not? – Patty Jenkins’ Wonder Woman is about to storm into theatres. June 2nd is the date for your diaries and with the film generating an overwhelming amount of positive buzz off the back of its early screenings, the hype is definitely real right now. Granted, the first wave of reviews have yet to surface, so we can’t say for sure if it’ll be a hit or not, but those initial reactions from the press screenings definitely sound promising. So, imagine for a very brief moment that you’re a Warner Bros. executive. You’re sitting in a plush office, watching as the internet becomes awash with Tweets labelling Wonder Woman to be the “best DCEU movie” to date. What do you do? Crank the marketing machine up to 11, of course. And that’s exactly what WB has chosen to do. 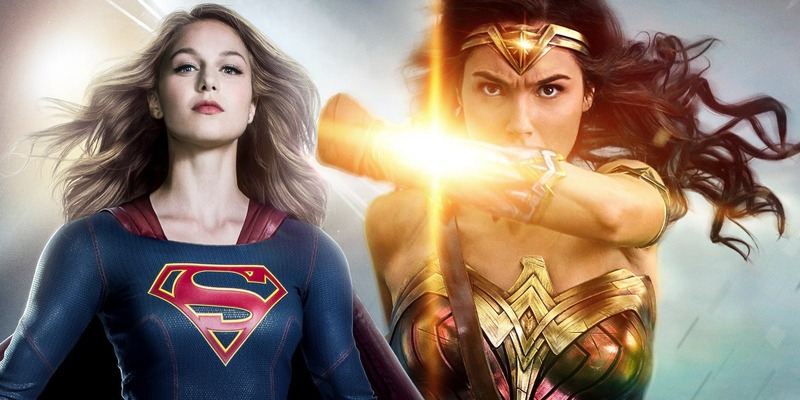 Earlier tonight, The CW aired the season 2 finale of Supergirl and unexpectedly, we got a pretty awesome promo for Wonder Woman with it. 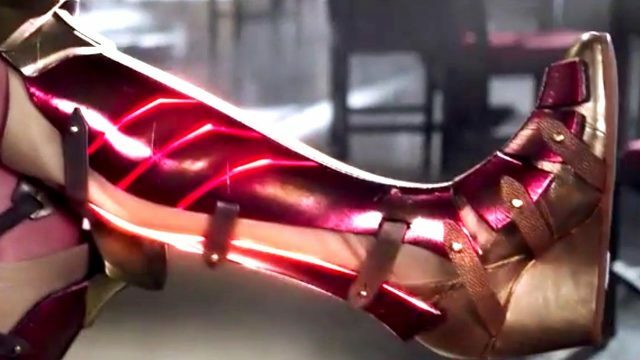 In a clever bit of cross promotion, we see the Girl of Steel walk through a bar as “These Boot are Made for Walking” plays over the scene. Alex and President Marsdin are both there, too, and then in walks Queen Rhea, who compliments someone on their footwear. “Nice boots,” says Teri Hatcher’s character, and then the camera cuts to Kara Danvers, who’s sporting Wonder Woman’s boots and now in plain clothes. She notes that she borrowed them from a friend, at which point we see President Marsdin (played by former Wonder Woman Lynda Carter) wink at the camera. Cue a brief bit of footage for WB’s upcoming tentpole. There’s not really anything here from the film that you haven’t already seen, but it’s a nice way to tie the two properties together in a humorous little promo that fans will no doubt get a kick out of. It also makes us wonder whether we’ll get something similar on Arrow and The Flash later this week. We’ll just have to wait and see, but for now, check out the promo below and let us know what you thought of the Supergirl season 2 finale by dropping a comment in the usual place!